Does One Bike Trip Really Make A Difference? 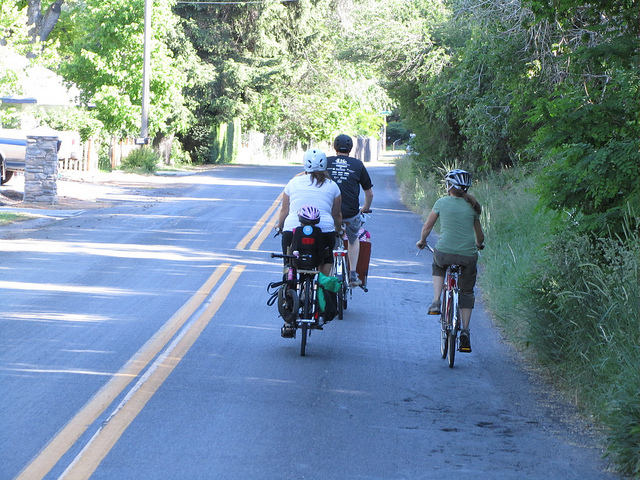 For years we have been telling everyone that replacing just one car trip with a bike trip will make a difference. You connect better with your neighborhood and our wonderful city, you save a few bucks in gas, get easier parking, and feel great from a little bit of movement. All of these reasons are aimed at the individual. Ideally you ride once and this sparks you to ride again, and again, and again which does have a lasting effect economically, and socially, on the greater population and area where you live. This is with out even mentioning that it also improves our air quality. So why should you take that one trip if it is not the magic bullet that multiple trips are? According to a new study from the Federal Highway Administration (FHWA) it turns out that one trip does have a giant effect on congestion. FHWA’s data reveals that total vehicle miles traveled (VMT) in 2011 had declined by 1.2% nationally. This tiny decline in VMT led to a 30% decrease in congestion! That is a huge decrease for such little input. What does this mean for Provo though? Well, we have about 112,00 people living in Provo, 1.2% of 112,000 is 1344. What this means is that if we can replace 1344 car trips with bike trips we can reduce congestion in Provo by 30%. That is 30% less being stuck in traffic, that is 30% less idling, that is 30% less noise on University Avenue, that is 30% more room for new riders to feel less intimidated on. In short that one trip to the store, or the Provo Bakery, or to a church service really pays off in a more livable more human friendly Provo which is some of the greatest news from this new data, it is not only for bike commuters. 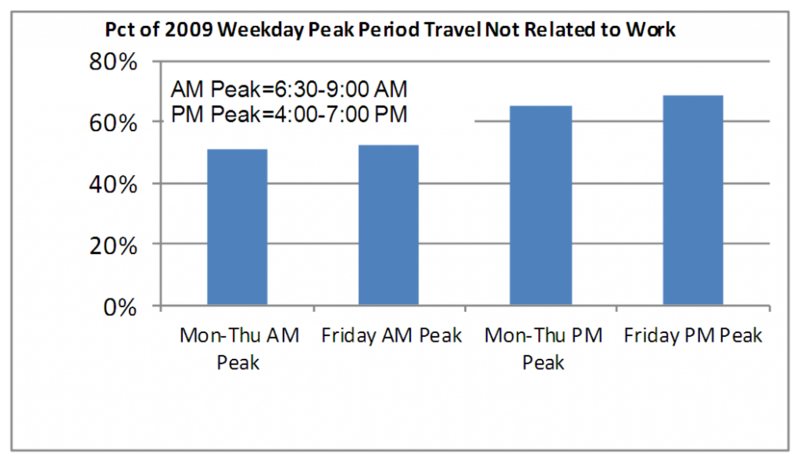 It is actually the regular trips around town (outside of work) that have the biggest affects, as 50% of rush hour traffic is not on the road getting to or from work, but is on the road running errands or getting somewhere non-work related. Every time you have a quick and easy trip and you look at the keys, and then the bike, just take the bike. It is better for you, for me, and for Provo. Not to mention this makes a killer argument for more bike lanes, and safer roads for all road users. This entry was posted in Bikes in the News, Complete Streets by Zac. Bookmark the permalink.